Wired! Even before Chicago Ald. Danny Solis reportedly secretly recorded scandalized Ald. Ed Burke, NBC5 News’ Carol Marin and Don Moseley report, Solis himself was secretly recorded—as the subject of an investigation dating back to 2014. ■ Other aldermen complain Solis broke faith with his colleagues. ■ The Tribune has pried loose federal docs showing what the FBI was after when it raided Burke’s office. ■ Burke’s still running for reelection—and faced down his challengers in a forum last night. ■ Mayoral candidate Susana Mendoza got lots of cash from Solis. ■ Mayoral candidate Toni Preckwinkle has another Burke headache. Dittoheads. The Trib says two aldermen replied to its candidate surveys with almost identical answers to every question. ■ Read their answers—and others’—here. ■ A judge has extended a protection order for the wife of a Chicago alderman accused of domestic violence. ■ Police have arrested a teenage suspect. ■ Amid hundreds of fresh complaints of sexual misconduct, Chicago Public Schools have fired six workers and removed 33 others pending investigations. ■ … and notes that the University of Illinois’ hometown, Champaign-Urbana, lags the nation on integration progress. Beware Indiana. Now that the Illinois Board of Elections has cut ties with the Trump administration’s multistate voter-registration database accused of engaging in voter suppression, the Illinois ACLU is warning against an alternate plan to team up with Indiana. ■ The president’s commerce secretary says he doesn’t understand why furloughed federal workers need help from food banks. ■ President Trump blinked over the State of the Union message. ■ Illinois is launching a loan program to help federal workers crunched by the government shutdown. ■ A new exhibition in Evanston spotlights the world’s richest man ever—a guy who died almost 700 years ago. Catastrophe alert. As of today, the symbolic “Doomsday Clock,” set by The Bulletin of Atomic Scientists, finds humanity as close to disaster—nuclear annihilation and climate extinction—as it has ever been. ■ The Post finds civil penalties for polluters under the Trump administration plummeted over the last fiscal year—to their lowest average level since 1994. ■ Gov. Pritzker has committed Illinois to joining 17 other states in a pledge to abide by the Paris climate accords the president has opposed. ■ Friends of the Chicago River applauds creation of a new Chicago River Ecology and Governance Group. ■ Behind the controversy: A still-mysterious account Twitter has suspended. Buzz cut. BuzzFeed is laying off 15 percent of its workforce. ■ The Gannett newspaper chain has been axing reporters across the country. ■ Verizon is cutting 800 from the division that has rolled up ownership of AOL, Yahoo and HuffPost. ■ Also out: Three percent of the DC Comics workforce. Sweetheartbroken. The financial woes of the New England Confectionery Co.—a.k.a. 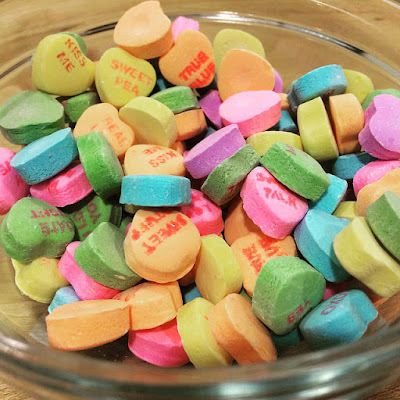 Necco—mean those little sugary heart candies with romantic messages on them will be hard to find this Valentine’s Day.